What's on Netflix > Netflix News > Is ‘The Addams Family’ on Netflix for Halloween 2018? Is ‘The Addams Family’ on Netflix for Halloween 2018? It’s Halloween once again! This is the time of year when fans of the 1991 classic movie The Addams Family turn to Netflix, but it’s very unlikely your Netflix region is streaming it. Here’s a look at where it is streaming, whether it’s coming to Netflix, and most importantly where you can watch if it’s not on Netflix. Despite being a comedy, the movie has gained itself a reputation as being one of the quintessential watches over the Halloween season. The franchise has seen multiple iterations beginning with its two-season television run in the 60s and afterward several sequels. But frankly, the first movie is what most people watch over Halloween. Is The Addams Family Series Available on Netflix? Sadly, it is not. As you may remember, the 1960’s series was aired by ABC who retain the rights to this day. The two seasons are exclusively available in the United States on Hulu where they’ll be streaming throughout Halloween 2018. Are The Addams Family Movies Available on Netflix? Only three regions have access to either of the two movies and none have access to the ‘Reunion’ movie. 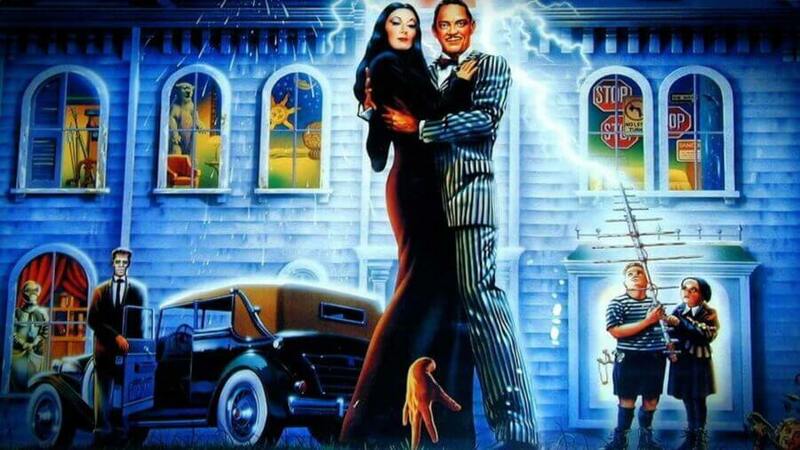 The Addams Family (1991 film) is only streaming on Netflix in South American countries including Brazil. The sequel, Addams Family Values (1993) is streaming on Netflix in Germany and Switzerland. With thanks to Unogs for the international Netflix data. Why aren’t the movies on Netflix in the United States? This time of year, rights to popular horror titles become particularly expensive to Netflix and other streaming services as the demand raises. That’s why we typically see horror movies added long before and after Halloween when the licensing becomes more affordable. Netflix US has streamed The Addams Family before. The last time the movie was added was back in August 2017 where it was available for several months before being removed and hasn’t returned since. You can stream the second movie, Addams Family Values with a Starz subscription, but you’ll have to look to a video-on-demand service for the first movie this year. In the United Kingdom, the two movies are available exclusively on streaming for Sky members on either Sky Go or NowTV. In Australia and Canada, you’ll find both movies available on Amazon Prime. There you have it, your guide to whether The Addams Family is on Netflix in 2018. It won’t likely be the news you were hoping for but in most cases, you should now have an idea on how to stream the classic Halloween movies and series. Previous story Last Hope Part 2: When will it be on Netflix?